Sigmund Freud believed that all psychological problems harked back to an archaic time. Carl Jung believed that ancient history provides humans with archetypes that can be drawn upon to interpret individual lives. Freud and Jung both believed that the key to solving problems appeared to humans in dreams, drawings and pictures. Freud and Jung used drawings of dreams to help their patients understand why they were feeling confused and unwell. Freud also used a talking cure called psychoanalysis. He treated his patients by asking them to lay on a couch and relax and once they were relaxed he asked them to describe their feelings. While relaxed they could provide the details of their lives without being emotionally overwhelmed by them. Some of Freud’s patients were beyond speech, but they could draw. Drawing is a soft entry into the unconscious. Have you ever doodled with a pen on a piece of paper while holding a conversation on the telephone, or perhaps when you are thinking? You probably believed you were just randomly scribbling, but your brain was working out something way beyond your conscious mind. Our brains often convey thoughts by way of an abstraction or symbols. Brains are a bit like a kaleidoscope, they store pieces of information in one place and put the pieces together from another area much like doing a jigsaw. Put simplistically, this is why we often feel confused. The cure for this is mindfulness. Art helps to develop mindfulness. One cannot create art without being mindful. It is unfortunate that the word “therapy” has become associated with a pathological state. Many people use art as a form of healing, but shy away from the notion of therapy. I frequently run art therapy groups where people choose to remove the word therapy as they feel it holds a stigma in the minds of society. This is a strong indication that anything to do with the mind is viewed separate from the body when in fact the mind is the body. I hope one day this will change and that people will feel as comfortable going to therapy as they do going to the shops to by a new item of clothing or something they have wanted dearly. Can art and therapy happen at the same time? Therapy is a word that describes a form of healing, while art is something that is created for fun or to explore an idea and provide the subject with meaning. How do art and therapy fit together? Healing can have a very broad definition, we can heal ourselves from stress by stepping back and being mindful of our thoughts and actions. We can heal a negative mood or a habit that may not be in our best interest with careful deliberation. We can heal the isolation that comes with being in a new place and without friends by actively seeking companionship. We can heal a sense of abandonment when friends or family have left us by learning self-determination. Simply being with calm, confident people can act as a form of healing. This might be called a natural self-motivated therapy. Art and creativity can provide all the techniques for wellbeing. We heal our bodies daily simply by shedding the old worn out cells and creating new ones. Art helps us to acknowledge our own power of self-healing. Nature is designed for interactive healing processes. Working with nature is the best medicine, nature creates and heals. We, as humans are a part of nature. Art helps us to breathe a connected breath. The ancient art of imagery and healing. Art therapy might be regarded as a new trend, based on the new discoveries in science, but actually it has been around for tens of thousands of years. The story of consciousness is told in the story of art and is as old as humanity itself. We know this because the art of paleolithic people has been found on the walls of caves in France, Spain, Italy, China and elsewhere. The cave art was put there by our ancestors in order to express a feeling. Cave art was often a warning to future cave dwellers that dangerous animals lurk near, the terrain is hazardous or that nature is unpredictable. All of nature is a creation of shapes and colours and humans have tried to emulate it in order to feel a part of their environment. Humans identified with the sun, stars, skies, earth, mountains, water, fields and rainbows; whereby all the elements were mysteries that could be reproduced in drawings and understood simply as creations. Life is creation. Art produced some of the earliest forms of therapy designed to answer the questions raised by inquisitive newcomers to a mysterious world. Art described the natural mysteries. Art is an unconscious form of questioning. It causes us to delve into our inner worlds. Our minds are an ampule of archaic knowledge awaiting resurrection. Art was jewellery, cosmetics, medicine, clothes, worship and expression. Art was freedom it took the mind away from fears and daily problems. Art was a thought process that protected against the harsh natural elements. Artistically created talismans warded off the evil eye of the Devil or other bad deities that made life difficult and hard to endure. Different colours were worn for good luck, they were generally the sunny gay colours that made people feel happy. Art was the earliest form of science. Pythagoras (570BC-495BC) posited the basic science of nature by identifying the four rudimentary elements, earth water, fire and air. Plato (428-348 BC) devised geometric shapes to give expression to them. The ancient Buddhists of India believed that humans themselves were made up of all the colours and elements, yellow was the earth, black was the water, red the fire, green the wood and white the metal. Belief in the elements provided people with hope. Introduction to my new book “Art for Fun and Wellbeing”. 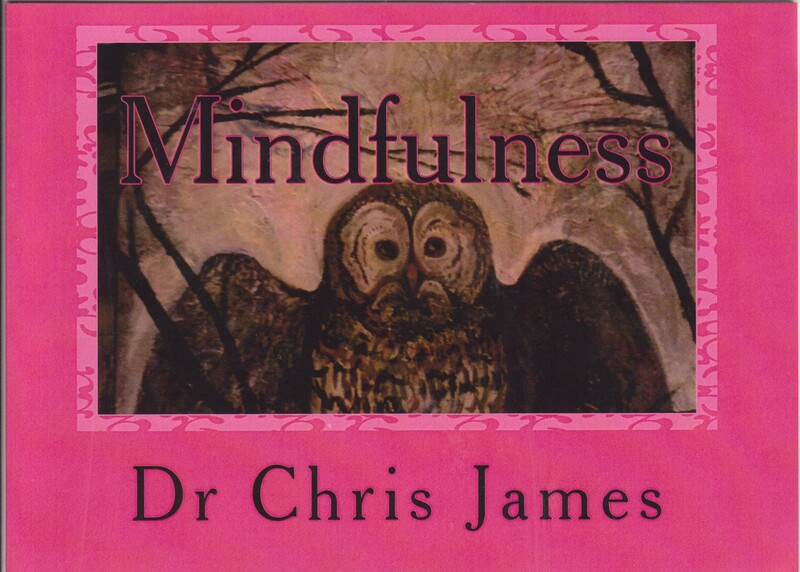 This book is about the making of art for fun and wellbeing. The hope is that this work will demonstrate how art acts as a catalyst for friendship, support, personal development and community cohesion, all of which are deemed natural and inevitable when people are relaxed and enjoying themselves. All art is therapeutic and it is important to point out that all the work contained herein is created without any distinction between the act of creating art for pleasure and producing an item that can tell us something new and unique about ourselves. As we create, in whatever medium, we as human beings also grow to extend our skills and emotional stability, this is the natural expansion of mind that some prefer to call therapy. Art for Fun and Wellbeing is therapeutic in the sense that it offers participants the joy of a shared experience, but it differs from the rigours of any conventional forms of art therapy that has as its objective a direct need to remedy a perceived mental or physical problem and which carries out its task in the presence of a leader. There are no leaders in the Art for Fun and Wellbeing group, everyone is a participant and a helper. Art for Fun and Wellbeing has its own philosophy, whereby personal action and a commitment towards creativity leads to self-empowerment, individual happiness and development. Inter-relationships, unlike conventional therapies, are based on friendship and camaraderie, not on benchmarks or judgemental steps of evaluated and measured social, psychological and characteristic improvements. Notwithstanding, a long history of productive art therapy has lead us to where we are today. The disciplines of psychoanalysis, interpretive psychology, association and the newly formed school of neuro-aesthetics bring together a better understanding of the power of mind and body and they help to identify a causal point for repression, isolation and dissociation as well as opening the door to alternative pathways for personal liberation. Happy people do not suffer from mental disorders, they find the ability to make choices with confidence and self-assurance. Hitherto, the sole purpose of the Art for Fun and Wellbeing group is to generate peace, harmony, happiness and support. Let me say that I am constantly amazed at the ingenuity and authenticity of the people who gather together every week to create art in an atmosphere of gentle chatter, soft music and gourmet offerings from the cooking class next door. I have always had faith in the human capacity to heal what ails the body and disturbs the mental processes. The Art for Fun and Wellbeing group are a testament to what people can do when they have faith in themselves and are willing to share their experiences for the benefit of others. The Manna Gum Community House. 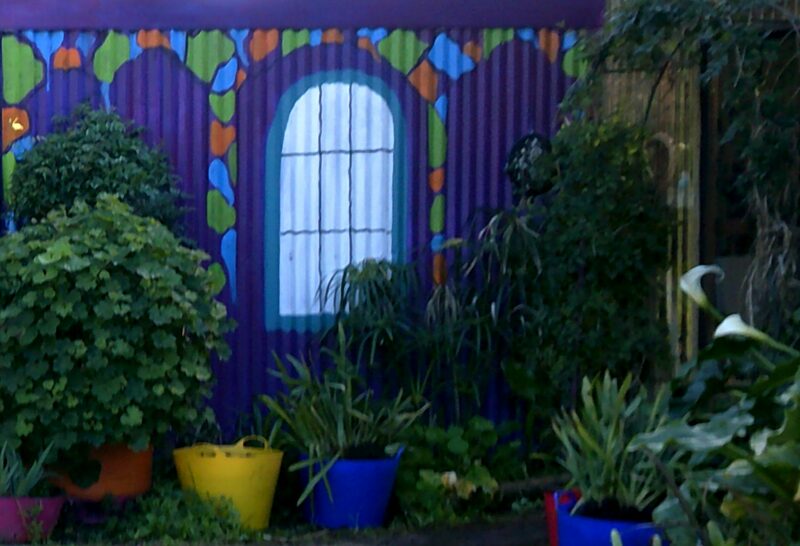 The setting for the Art for Fun and Wellbeing group is the Manna Gum Community House, Foster (formally called the Foster and District Community House and Learning Centre). The Manna Gum Community House stands at the centre of the small Australian town of Foster, in the State of Victoria. The building is significant as it was originally the District Court House with adjoining police stables (the stables no longer exist). The Court House and stables were constructed in 1889-1890 by the Public Works Department and it was the first building the department erected in the vicinity. Historically, the building acted as a local commercial centre following the gold rush and it marked the beginnings of government by housing the Shire of South Gippsland’s facilities. The building still retains many of the features of the original Federation structure. The main hall has its original judicial platform with large double doors that open onto the chambers, now the main hall. There are a few modern touches, one being a foyer, which together with a small memorial garden, sets the main building back from the pavement and road. The building that once saw many a contest between the state authorities and their adversaries, is now a multicultural hub of peace and tranquillity. The Manna Gum Community House serves the population of Foster and a number of surrounding townships and offers a number social and community development opportunities from vocational courses, various kinds of entertainment, movies and crafts to celebratory banquets. The facility has a coffee lounge, which acts as a popular meeting place for visitors and locals and it has a Centrelink office for job searches and advice for welfare recipients. There is also an opportunity shop, food bank and a well-positioned exhibition space. The Manna Gum Community House is still supported by the Shire of South Gippsland, albeit like many similar establishments, the Committee of Management must earn its income so support from businesses and the community are always welcome. Every Friday afternoon the group called Art for Fun and Wellbeing occupy the main hall to work on a number of art projects and the space is kindly given to the group for free. The group is largely experimental and informal, it has no fixed membership, rather it acts as a drop-in studio and/or contact point for people wanting to express their ideas, talents and experiences through the medium of art. Other people who simply want to make contact, talk share skills or indulge their curiosity are also welcome. There are no rules, no specific teaching and no set curriculum. The direction of the group is agreed to amidst ourselves. Help and guidance is available if needed across a mix of creative genres. Due to the informality of the venture there are no fixed numbers, people come and go, many learn a technique or borrow an idea and then work later at home. We exist to encourage artistic exploration and hope to extol our enthusiasm to all who wish to improve their lives and dispositions. I first began working at the Manna Gum Community House in 2011 when the hall was offered to a steering committee that was organizing an event for Mental Health Week. I had recently retired having spent many years at a university. I was new to the area; the plan was to continue my research and write books based on my Doctoral research in philosophy, communications and psychoanalysis. I became aware of a purported ongoing mental health crisis in Gippsland; in reality it was a mental health crisis everywhere, city and country alike, but many rural areas were seriously lacking in services. In 2011 the rates of self-harm in Gippsland had escalated. According to the studies by the Department of Health & Human Services (2010-2011 and 2014-2016) the statistics for intentional self-harm hospital separations (‘separations’ is a term defining hospitals ending care for a patient) were worse than any other area. The Victorian rate was 43.0 for men and 82.8 for women per 100,000 of population. For Gippsland men, this rate was 77.9 and for Gippsland women was 148.3. In the Wellington Shire (the adjacent municipality to the South Gippsland Shire) women had three times the Victorian female rate of risk, East Gippsland females had twice the Victorian female rate. East Gippsland and Wellington males were well over twice the state rate. Latrobe men and women had almost twice the Victorian rates. Life expectancy at birth was lower for males across all Gippsland Local Government Areas (LGAs); the Victorian figure was 80.3 years for males and 84.4 for females, whereas the worst Gippsland statistic is for the Latrobe Valley with 76.9 for males and 82.2 for females. Suicide rates increased with increases in remoteness. Having a mental illness is strongly linked to suicide. In one study using a meta-analysis approach (a study that combines the data of numerous studies) 87.3% of suicide completers had a mental illness whilst 14.0% had no diagnosis. Affective disorders, like depression, were responsible for 43.2% of cases and substance abuse in 25.7%. Having more than one psychiatric disorder increased the suicide risk further. Many of the difficulties had been visibly exacerbated by a downturn in the local farming economy, a fluctuation in the milk pricing seriously impacted dairy farmers as did the droughts, floods and insecurity of tenure brought about by the issue of mining licences over most of the land used for producing food. Added to this were the many other accumulative effects of climate change, such as unpredictable weather patterns and rising tide levels along the coast. Against this, there was an over-representation in spectrum disorders, a topic that had drawn my attention in the context of my work on Rational Behaviour as an Expectation (2008). Mental dysfunction usually attracts a medical solution. Many Eastern philosophies do not separate mental and physical health. Mental health is something that everyone can work at in a variety of ways. Improvements can be made to lifestyle and environment and social connections coupled with creativity top the list for increasing wellbeing. The Foster community were already actively working towards a heightened level of social cohesion, nature conservation and sustainability so it followed that the mental health services would be a part of the vision, whereby a collective of organizations came together specifically for the purpose of celebrating and making visible the events of National Mental Health Week. Indeed, the group initiated its own events in Foster. For the fist time the collective planned a project aimed at highlighting the plight of people with mental health issues by providing alternative services, namely art therapy. 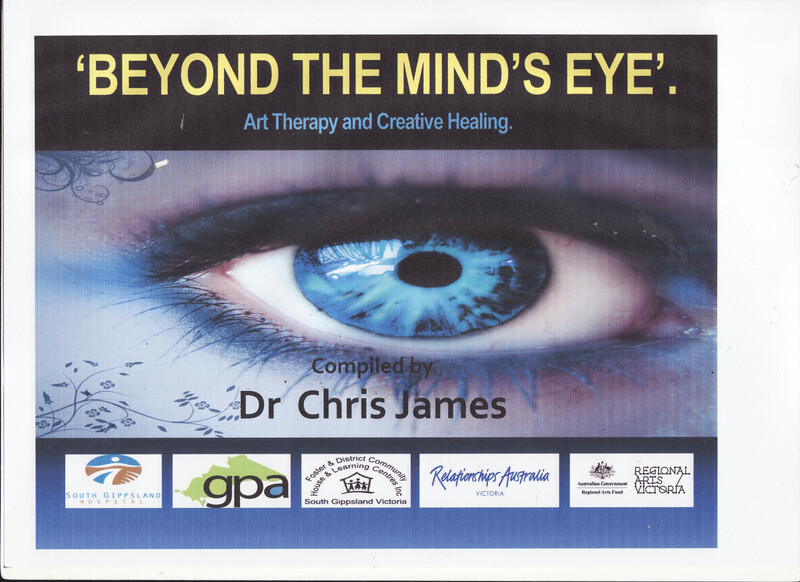 The group called the project Beyond the Mind’s Eye and it would consist of five free art therapy workshops and an exhibition of the completed work to be held at the local Stockyard Gallery. I was subsequently hired to facilitate the five free workshops on offer to recipients of mental health services, their families and carers. 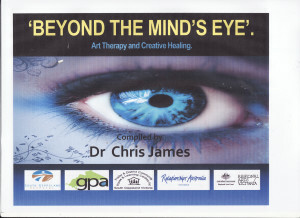 Book cover for the Beyond the Mind’s Eye book, which was produced after the event. The attendance on the opening night at the gallery was unprecedented. However, like most benevolently funded projects when the money ran out, no other space was available and any continuation of the gathering proved impossible. I had other commitments teaching Mindfulness in Melbourne, but shortly after, I found myself at the Manna Gum Community House again, this time teaching philosophy, a course that became the longest running course in the history of the establishment. The Art or Fun and Wellbeing group was formed at the end of 2015 when the philosophy gathering morphed into a gathering of art enthusiasts. What could I bring to the group? I was involved in another international movement focused on neuro-aesthetics, otherwise the study of the correlations between the brain’s neurological transmitting mechanisms (responses) and the production of art. Neuro-aesthetics arose from the study of Outside Art (art created by untrained artists, mostly from institutional facilities and workshops for people with disabilities, or people who had not been able to access mainstream art facilities). I was fortunate enough to have a paper published on the connection between Outsider Art and dissociation, especially where there was a prevalence of high functioning autism. The paper appeared in Sydney University’s peer review journal called Elsewhere (Vol.2) in 2014. 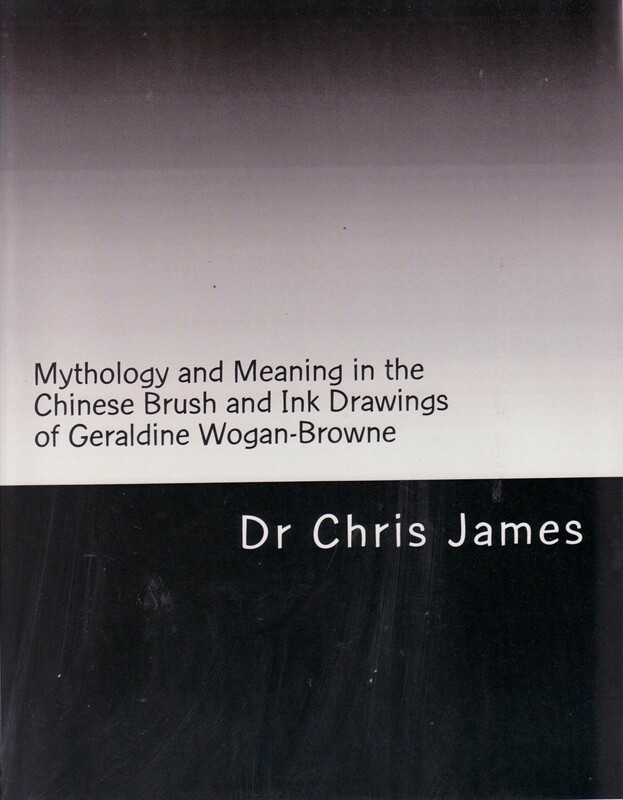 At the same time, I planning to write a book on the art of a local Gippsland artist named Geraldine Wogan-Browne (1926-2012) titled Mythology and Meaning in the Brush and Ink Drawings of Geraldine Wogan-Browne. Book cover for the Geraldine Wogan-Browne book. 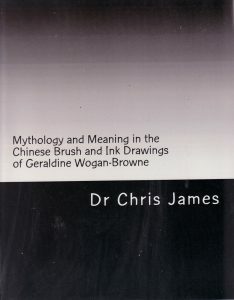 Wogan-Browne was the wife of Australia’s Naval attaché to the Philippines during the Vietnam War who, in a time of immense anxiety and turmoil, discovered a passion for Chinese brush and ink drawing. Wogan-Browne learned the highly disciplined form of Chinese art from local artists in Manila and used it as a form of personal solace in a very difficult time of war and social upheaval. In 2016 the Manna Gum Community House launched the book on Wogan-Browne’s art and inaugurated a monument to this remarkable woman at the front entry of the Community House building. The celebrations were also accompanied by a Zine and Mail Art exhibition. 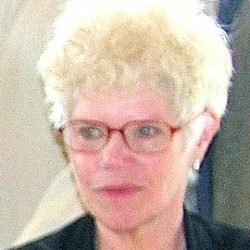 The Wogan-Browne memorial put a stamp on the shared priority of creating connections for the benefit of health and healing. By 2016 there were numerous scientific studies to affirm that art was useful as a primary form of meditation and mindfulness and that art could change the pathways in the brain and thus give rise to feelings of happiness and satisfaction. Art could also generate industry, which enhanced feelings of self-worth. The feelings of achievement and self-worth reached new heights when members of the Art for Fun and Wellbeing group began putting their artwork on products, such as T-shirts, cushions, cups, stationary and many other items. Designs and products were posted on social media and they gained dozens of ‘likes’. Not only did this encourage the home-grown artists, it inspired others who use social media to discover their own potential. In the disciplines of mindfulness and psychoanalysis abundance is not achieved by going out and attempting to earn a lot of money or gain kudos, abundance comes from the unconsciousness and it happens in the present. Abundance takes place when we transcend the baggage of the past and the fears, anxieties and unrealistic wishes of the future. Art inadvertently asks questions of the mind, the answers to which are dormant in the unconscious. Art can delve deeper into the origins of thought without the experience feeling uncomfortable or threatening. Art removes the vulnerability of disclosure because the only therapy needed is in the hands of the artist. All art interpretation stems from psychoanalysis and Sigmund Freud’s work on the Interpretation of Dreams and Parapraxis (slips of the tongue). Carl Jung took the process one step further and introduced the idea of archetypes, otherwise the buried memories of our ancestor’s religions and beliefs, which were said to form a collective consciousness that grounds itself in the present and spans all human thoughts and behaviour. The very practice of producing a piece of artwork changes thought patterns automatically and organically with no due attention to whether a thought is right or wrong, only whether it feels comfortable. Art can circumvent the time required by numerous therapies (including regular psychoanalysis). Art makes the process of becoming happy and feeling satisfied a routine part of life, rather than something that needs to be striven for. Art works for wellbeing because it taps in the quiescent areas of the brain and increases the activity in the brain’s pleasure centres by flooding the area with a neuro-chemical called dopamine. This is the ‘feel good’ chemical that is linked to addictions. Hence, art can help to break destructive addictions. The human body is designed for happiness, something that escapes many people because they feel constant pain, stress and depression, mostly due to a host of deeply embedded fears and distortions. These feelings arise from not being free to express experiences and emotions without the expectation of judgements. Bad feelings are not disorders they are the holding back of natural survival skills that can be governed by another chemical called noradrenaline. Noradrenaline produces wide ranging effects on many areas of the body and it is often referred to as a ‘fight or flight’ chemical and it is one of the main chemicals responsible for the body’s reaction to stress. Noradrenaline normally produces effects such as increased heart rate, increased blood pressure, widening of pupils, widening of air passages in the lungs and narrowing of blood vessels in non-essential organs. This enables the body to perform well in stressful situations, but it takes its toll when stress becomes the main ingredient in life as happens to many in our fast-moving modern world. Art can ease the levels of pain and stress management. Our evolutionary biology is set for a life that is orientated towards placating pain. The chemicals generated for placating pain are the same chemicals that cause us to love, play, create and to feel happy. All fellow humans and animals seek pleasure and avoid pain and the human brain has a myriad of self-produced neuro-chemicals that direct our thoughts, emotions and feelings into a life of pleasure and wellbeing. Art is the binding force that brings the appropriate chemicals together for pleasure and personal achievement. Everyone can choose to create despite their psychological or physical disposition. Everyone can choose to be happy and find fulfillment. 2016 exhibition at the Manna Gum Community House. The Art for Fun and Wellbeing group has now been running for almost two years. It is a mix of people from all backgrounds. In 2016 the group participated in their first exhibition at the Community House. In the same year an in-house school holiday program included and Art for Fun and Wellbeing workshop in the main hall. Another workshop along the same lines was run at the Leongatha Specialist School. The success of the Mental Health Week workshops and the bountiful production of art has led to this book. I sincerely hope this example serves to inspire others to seek out their creative selves and discover a new form of joy and fulfillment. Department of Health & Human Services – Intentional Self-Harm Injury (Public Hospital Separations for Gippsland)2010-2011 2014-2016. https://www.llg.org.au/about/mental-health-statistics. Retrieved 22nd June 2017. Department of Health 2012 Regional Health Status Profiles Gippsland region. 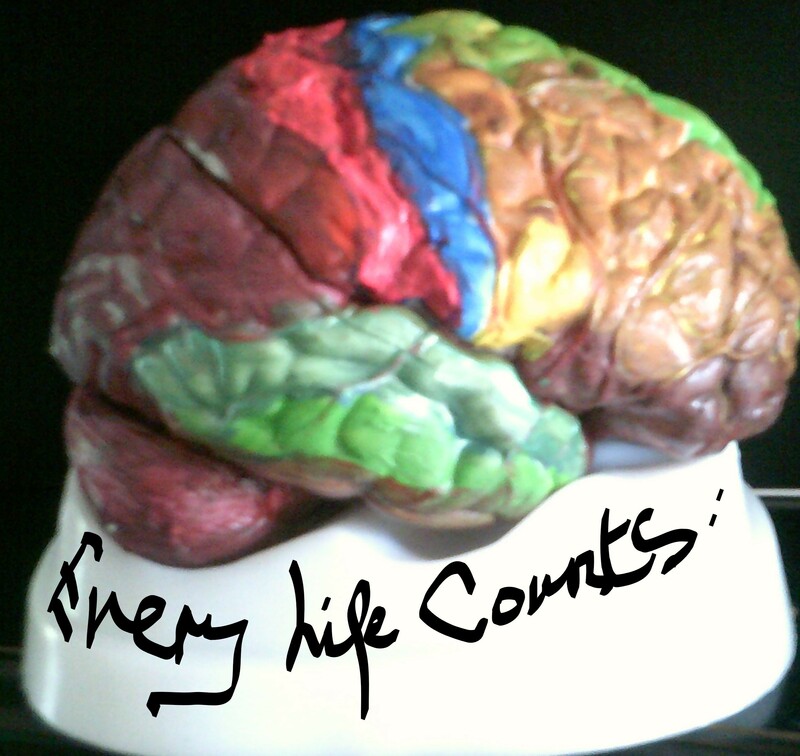 https://www.llg.org.au/about/mental-health-statistics. Retrieved 22nd June 2017. Lifeline Org. Suicide and hospitalised self-harm in Australia – Trends and analysis (2014) https://www.llg.org.au/about/mental-health-statistics. Retrieved 22nd June 2017.